Skip the store, make your own charcuterie. Sure, you could throw together a delicious charcuterie board after a quick visit to your local Whole Foods. 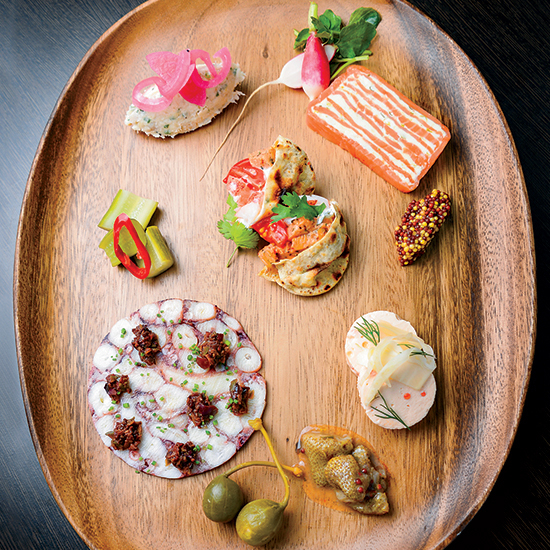 Or you could plan a few days ahead of time and make your own gorgeous, ultra-impressive charcuterie board from scratch. 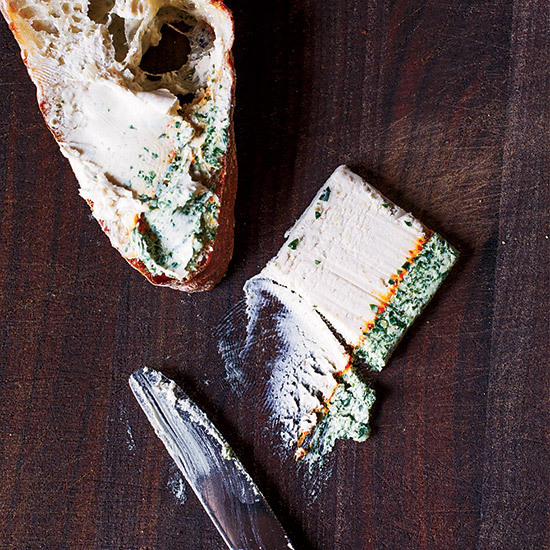 Here, the best recipes for homemade pâtés, terrines and more. This buttery, earthy pâté can be spread on crostini, stuffed into Cognac-poached prunes, or even shaped into small balls and deep-fried with sage leaves. Rich and creamy, this is the ultimate in luxe snacking. Rillettes is a rustic pâté made from meat that's been poached in its own fat, then shredded and stored in some of that fat. It’s simple to make but does require a few hours of slow cooking. 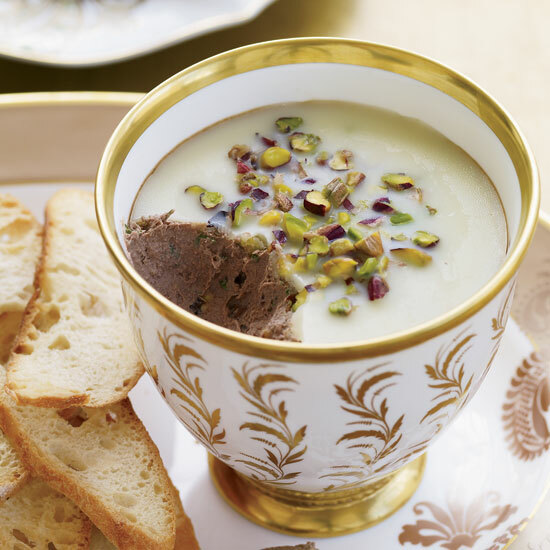 This delicious terrine is perfect with cornichons and sourdough toasts. 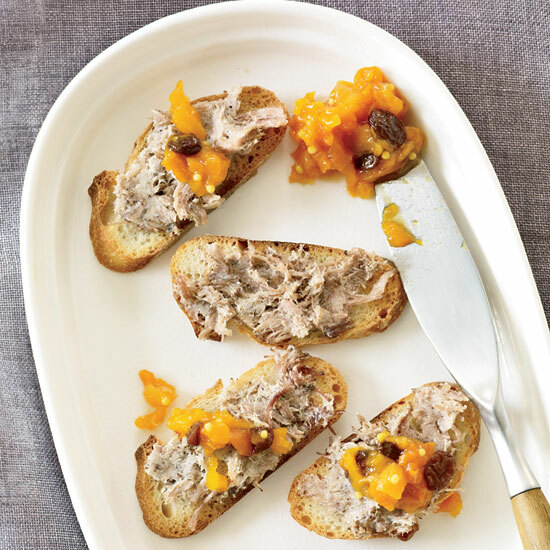 Rich, salty and tart from lots of lemon juice and zest, this pâté made with high-quality jarred or canned tuna pairs well with thick grilled toast or raw vegetables. A good recipe for chicken-liver mousse is critical, says Shawn McClain, "because when a recipe's bad, it's really bad." His version is supremely silky and light, with a lovely hint of apple from Calvados. 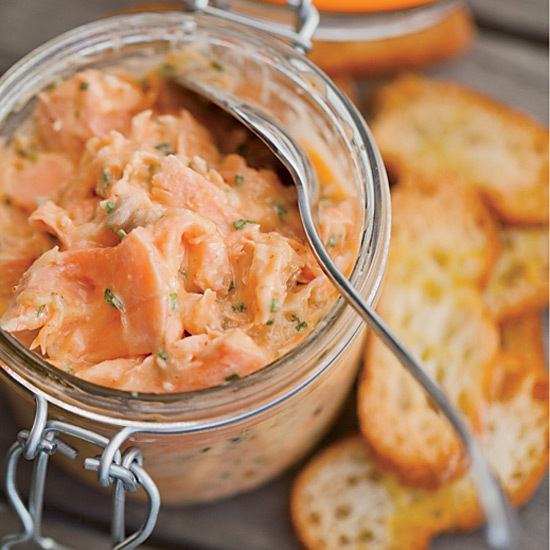 For her simple rillettes, chef Anna Zepaltas blends fresh salmon and butter with hot-smoked salmon to give the rich spread extra-rich flavor.